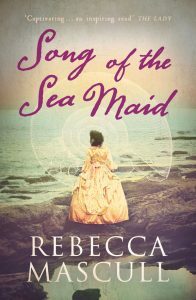 Mollie Walton is the saga pen-name for historical novelist Rebecca Mascull. Adeliza Golding is a deafblind girl, born in late Victorian England on her father’s hop farm. 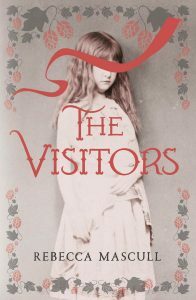 Unable to interact with her loving family, she exists in a world of darkness and confusion; her only communication is with the ghosts she speaks to in her head, who she has christened the Visitors. One day she runs out into the fields and a young hop-picker, Lottie, grabs her hand and starts drawing shapes in it. Finally Liza can communicate. 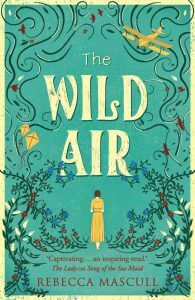 Her friendship with her teacher and with Lottie’s beloved brother Caleb leads her from the hop gardens and oyster beds of Kent to the dusty veldt of South Africa and the Boer War, and ultimately to the truth about the Visitors. dreams of being a scientist. and she is a little girl. As a child living on the streets of London, then in an orphanage, Dawnay Price grows up determined not to let her background stand in the way of her ambitions. In an era when women rarely travel alone, especially for scientific study, Dawnay sets sail aboard The Prospect to the beautiful Iberian Peninsula. Amid rumours of mermaids in the sparkling waters, she makes some unexpected discoveries, including what it means to fall in love. Having fought hard against convention, Dawnay is determined to put her career above all else. Yet as war approaches she finds herself divided by feelings she cannot control. Told in Dawnay’s words, this is an unforgettable story about what it takes to achieve your dreams, even when they seem impossible. When shy Della Dobbs meets her mother’s aunt, her life changes forever. Great Auntie Betty has come home from Kitty Hawk, North Carolina, across whose windswept dunes the Wright Brothers tested their historic flying machines. Della develops a burning ambition to fly and Betty is determined to help her. But the Great War is coming and it threatens to destroy everything – and everyone – Della loves. Before A Christmas Carol there was… Miss Marley. A seasonal tale of kindness and goodwill. Orphans Clara and Jacob Marley live by their wits, scavenging for scraps in the poorest alleyways of London, in the shadow of the workhouse. Every night, Jake promises his little sister ‘tomorrow will be better’ and when the chance to escape poverty comes their way, he seizes it despite the terrible price. 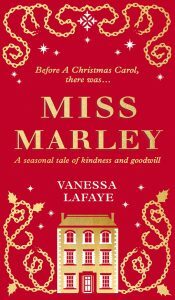 In Miss Marley, Vanessa Lafaye weaves a spellbinding Dickensian tale of ghosts, goodwill and hope – a perfect prequel to A Christmas Carol.